You don't have many options for flavoring and tenderizing venison. Sure, you can smother it in a spice rub or let it bathe in a marinade for a few hours -- if you only want to season and tenderize the surface. Salt brines, on the other hand, season and tenderize venison almost to the center of the cut -- not through contact, but through diffusion and osmosis, or the absorption and exchange of liquid. 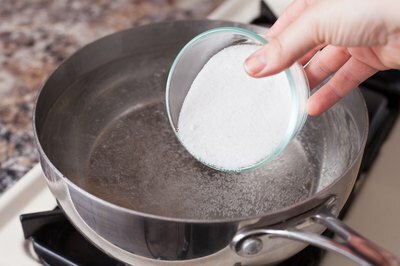 Heat a 16-to-1 ratio of water to kosher salt, or 1 cup of salt for every gallon of water, on the stove until it dissolves. Chill the venison in the refrigerator until needed. 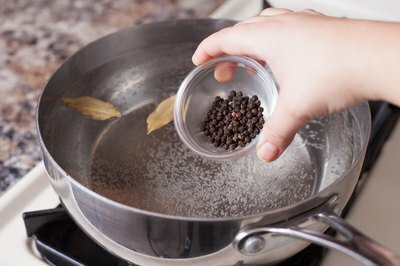 Add aromatic ingredients to the brine. 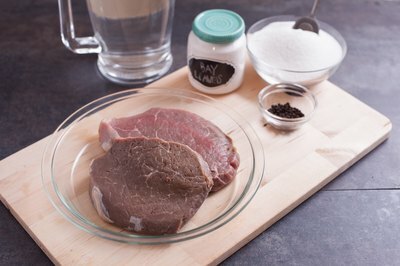 To temper venison's gamey, feral taste, use a standard game-meat combination of 1 or 2 bay leaves, a few black peppercorns, celery seeds, mustard seeds, hot pepper seeds and juniper berries. Add additional ingredients, such as garlic and onions, if desired. 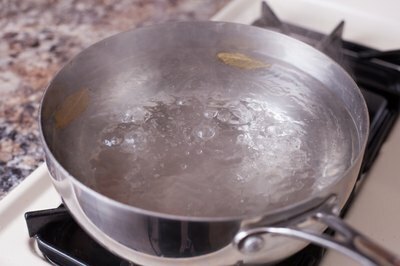 Bring the brine to a boil and take it off the heat; let the brine cool to room temperature. 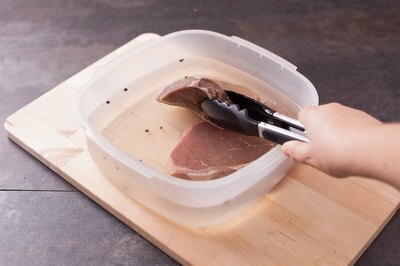 Set the venison in an airtight food container. Pour the cooled brine over the venison until it's covered by at least 1 inch. If the venison floats, set a plate on it to keep it down. 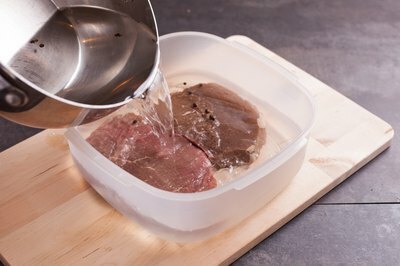 Brine the venison in the refrigerator for 2 to 3 hours per pound, not to exceed 24 hours. Turn the venison over halfway through brining. 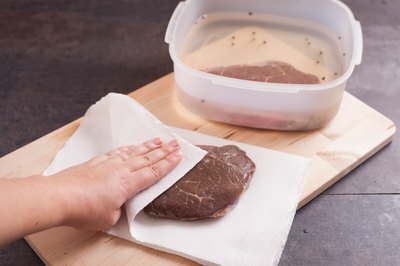 Rinse the venison when you finish brining it and pat it dry with paper towels. Discard the brine. Rest the venison uncovered for 24 hours in a shallow dish in the refrigerator. 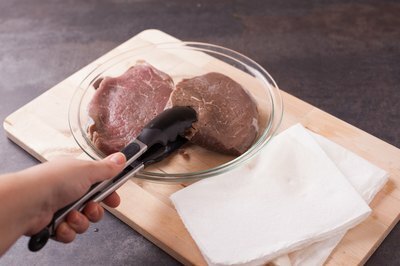 The sodium in the meat equalizes during the rest period.